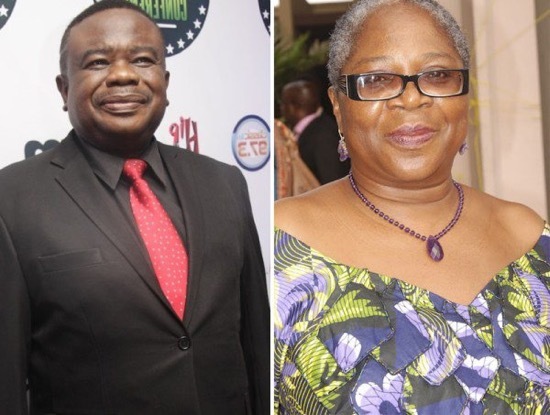 The legal war between Chief Tony Okoroji and Ms. Onyeka Onwenu had finally climaxed. 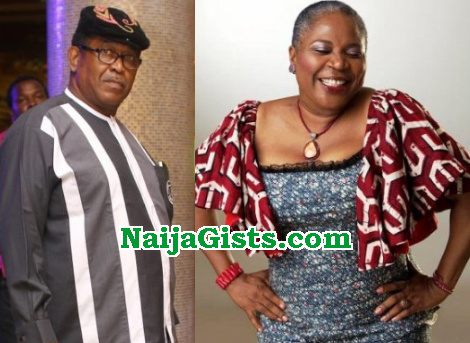 A Lagos High Court sitting in Ikeja last Thursday, June 30, ordered frontline singer and politician, Ms. Onwenu, to pay the sum of N5million as damages for defamation of character to Okoroji, former President of Performing Musicians Association of Nigeria (PMAN) and Chairman, Copyright Society of Nigeria (COSON). Delivering judgment in Suit No: ID/935/12 filed in 2012, Hon. Justice I. O. Akinkugbe (Mrs.) also ordered Onwenu to tender an unreserved public apology to Okoroji to be published in Vanguard Newspapers. “Once again, as has happened several times before, the courts have come to my rescue, proving that despite what may be said to the contrary, you can obtain justice in Nigeria. This has taken close to four years of going in and out of court but at the end of the day, I must thank Hon. Justice Akinkugbe who the Almighty has again used to do justice for her professionalism. I must also thank my lawyer, Mr. Justin Ige, for his commitment and thoroughness. I have committed much of my life to fighting for the welfare of every musician in Nigeria and protecting the interest of all including Ms. Onyeka Onwenu. In the battle, I have spared myself no inconvenience or discomfort and countless times, I have had to risk my life, my reputation and the welfare of my family. “I wish I never had to take Ms. Onwenu to court. I consider every Nigerian musician including Onyeka a member of my extended family. Onyeka however left me with little choice. I went to court in self-defense. Till today, I do not know what wrong I did to Onyeka Onwenu. As someone I considered a close colleague and friend, I was shocked at the level of hatred she had generated within herself to justify her all-consuming campaign of lies without foundation to destroy the one thing she knows that I cherish most; my integrity. Every appeal to Ms Onwenu to reconsider what she was doing fell on deaf ears. Onyeka Onwenu has known me for many years. She knows very well that under no circumstance would I take a penny that does not belong to me but it suited her purpose to project me to the world as a thief. Onyeka knows that I am a stickler for rules and order but it made her happy to tell the world that I am lawless and a despot. I know that very few people will believe this: three years ago, Onyeka Onwenu went to the Police Special Anti- Robbery Squad (SARS) in Ikeja to wickedly report that I was chasing her around at night in a red Jeep in her neighbourhood with the intent to assassinate her! “Some will recall that I publicly cautioned Onyeka Onwenu when she began her ill-advised war of attrition against Chief Tony Okoroji. I told her that she was taking on the wrong guy. She refused to listen. Now, the chickens have come home to roost and she has to pay for her attempt to destroy a good man”. Let go Tony completely now that you have been vindicated and let God. You are a nice man???? Osukosu nwa mkpi nya biko sugbo ya….selense. Uhm, why would she do such a thing, she must av a good reason for it, bcos I cannot just expect someone to wake up one day and decide to ruin another persons reputation for no just course, unless they av been at logger heads. If that were the case then she went too far, I mean what do u gain by doing that. Now that you have taken her to court and will be settled with N5m for damages, you are happy and justified. Stop defending yourself because the court have found you guiltless. If you are a true man of integrity, you wouldn’t have taken her to court, but will only leave everything to God. Men who are just don’t fight for people to notice them! But their self worth, integrity and righteousness fight for them and everyone will see it. Good for her. There are many people like her who like to willfully and wickedly destroy others with their sugar coated tongues that it will take legal actions like Mr. Okoroji took to extricate himself. It is like somebody tying you up with a rope leaving little or no room for you to untangle yourself. Thank God for this honest and God fearing judge. But wait a minute, has there ever been any smoke without a fire? From My point of veiw, Onyeka is way too exposed, educated and civilized than to just wake up one morning and start hating this man without a cause. There is something they are not telling us. I never knew Mrs Onyeka is this wicked, i wonder what Mr Okoroji did to her that make her take that drastic step. Only God knows what transpired between them. Madam has forgotten, this is not Jonathan’s regime. Whereby she can do and undo. A fair judgement. Since court order or a verdict has being given in your favour to pay you that large sum of money as a way of compensating you for black mailing and damaging your reputation in the society, for the sake of peace I will advice you to return that money to the woman. Show to onyeka that you really don’t have a problem with her. If madam refuse it,take it to her family. That gesture will no doubt send a clear message to onlookers that you are for peace and not what you are not who madam thinks you are. Since court order or a verdict has being given in your favour to pay you that large sum of money as a way of compensating you for black mailing and damaging your reputation in the society, for the sake of peace I will advice you to return that money to the woman. Show to onyeka that you really don’t have a problem with her. If madam refuse it,take it to her family. That gesture will no doubt send a clear message to onlookers that you are for peace and not what madam thinks you are. both of them has been longtime lovers. it is on record that both of them were in deep romance since 1980s. Onyeka is angry for tony leaving her unceremoniously. Onyeka mobolize Nigerians to rebuild Tony house when it got burnt. someone should please remind madam onyeka that this is not Jonathan’s regime o..
only the oldies nos more about her s a very wicked and prostitute woman shame, you just strt to face the price of nemesis.